It doesn’t matter where you look, there is bound to be endless advice on how you can get bigger and stronger. Billboards, magazines, supplement stores, and TV ads all promise you the ultimate answer to looking like a Greek god. The problem, of course, with all of these claims is that they are either false or will barely produce any results at all. This means that you can spend all of your time following the advice and get absolutely nowhere. If you really want to get jacked and get the body of your dreams, it isn’t all that complicated. All you really need are these five exercises. As long as you eat right and increase the load on these lifts, there will be nothing stopping you from developing that herculean physique. Legs are the foundation for functional strength. And if there is one type of exercise that shouldn’t be overlooked, it is squats. This is because this exercise works out most of your lower body, focusing on several muscle groups at the same time. Squats works on various muscle groups – hamstrings, calves, thighs, abdominal & back muscles, and glutes. This type of compound movements that target multiple muscles helps in another way as well. It provides you with a natural boost in testosterone and other growth hormones. Look in the mirror and see where you need more growth, for bigger quads do Front Squats, which will also help increase your lift on back squats. Parallel Bar Dips concentrate on those important parts such as the lower chest, traps, deltoids, and triceps. However, it is more than an exercise to get you a better-looking physique. It is also a great strength building activity. With the dips, you do require some equipment. These are the bars on either side of you. Holding onto the parallel bars, you will need to lift your body up so that it is being supported by your arms and shoulders. Then, you will need to lower your body and lift it once more. If you are looking to make the exercise more challenging, you can do so with the help of added weights. Then there is the trusty bench press. This is something that anyone who has been to a gym is familiar with. Well, there is a reason that bench presses are staples in your exercise routine. It helps you to build muscle in your arms, shoulders, chest, pecs, and other areas. Inclined bench, in particular, focuses on the upper-pec of your chest, and upper pec development is crucial for someone who is trying to put in more muscle mass. This will help a great deal if you are trying to get bigger. The key to the bench presses is the number of reps that you perform. If your goal is to bulk up, then using heavy weights for 5 to 8 reps is the way to go. Chin-ups are generally overlooked because they are quite difficult to do. Most people never do it. And they always look the same. Being able to lift your on weight ups is a pre-requisite for adding more muscles to your frame, build up your strength, and get more flexible. It is simply a matter of getting an underhanded grip on a bar above you. Then, you slowly pull yourself up by your arms until your head is above the bar. Just like dips, you can make your chin-ups a little more demanding, by adding weights to your routine. Not doing deadlifts is the primary reason most people fail to add muscles to their physique. 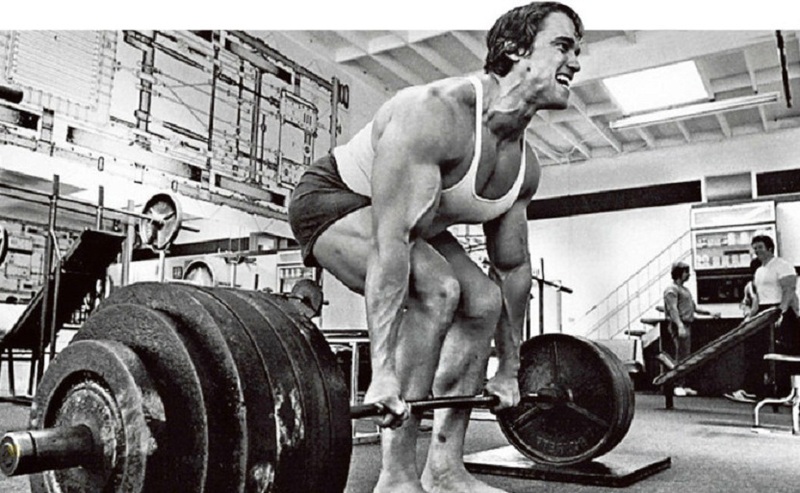 Dead-lifts is the king of all mass gaining exercises. It is a key strength building movement that builds your upper and lower body. Make sure to squeeze the glutes at the top of a deadlift. Muscles targeted during deadlift include – back, glutes, lat muscles, hamstrings, forearms, shoulder, trapezius. Squats, parallel bar dips, bench press, chin-ups, and deadlifts are the five exercises that will actually get you the body that you want. Include these in your workout and you are definitely going to be stronger and succeed in building those muscles.